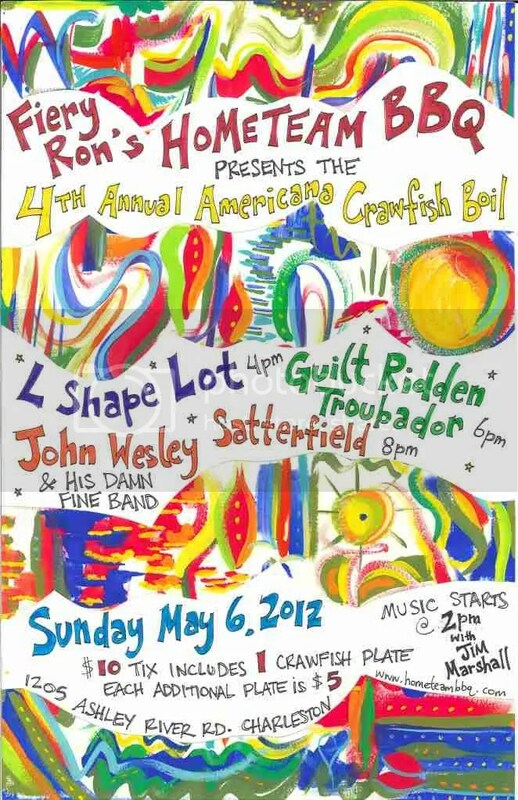 This entry was posted on April 19, 2012 at 9:39 am and is filed under Uncategorized with tags aaron siegel, All-Americana Crawfish Boil, Charleston, Charleston bands, charleston crawfish, charleston music, Guilt Ridden Troubadour, home team bbq, Jim Marshall, John Wesley Satterfield & His Damn Fine Band, Junkyard Angel, l shaped lot, Reid Stone, tony mckie, west ashley. You can follow any responses to this entry through the RSS 2.0 feed. You can leave a response, or trackback from your own site.